First Listen: Sylvan Esso, 'Sylvan Esso' Taut and tantalizing, these 10 songs have countless different ways of grabbing and inviting attention; they wobble, seethe and coo with charismatic ambivalence. 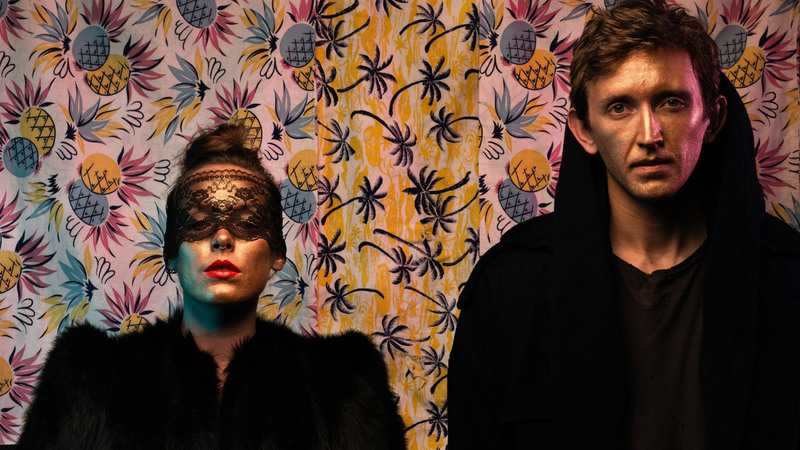 Sylvan Esso's self-titled debut album comes out May 13. The product of an unlikely pairing of musicians, Sylvan Esso works in equally unlikely ways: Singer Amelia Meath first surfaced as a singer in the largely a cappella Vermont folk group Mountain Man, while Nick Sanborn plays bass in the versatile North Carolina psych-rock band Megafaun. The two met, however, when each was in solo mode, Meath as a singer and Sanborn as a producer of heady electronic music — and that's where Sylvan Esso combines, highlights and ultimately maximizes their talents, in ways that ought to make them both stars. Taut and tantalizing, the 10 songs on the pair's debut have countless different ways of grabbing and inviting attention; they wobble, seethe and coo with charismatic ambivalence. In "Coffee," one of the year's best songs, gigantic hooks weave in and out as Meath projects warmth and weary grace while seasons change around her. In the irresistible "Hey Mami," she dissects the culture of catcalls while unleashing a few herself. "Play It Right" lavishly layers Meath's supple voice atop itself as sound shimmers and pops from every conceivable direction. With the raw materials to both rock dance floors and initiate deep head-bobbing under headphones, Sylvan Esso utterly reinvents the already-promising careers at its core. Together, Meath and Sanborn make pop music with real potential to endure: Equally bright and dark, smart and seductive, it sets a high bar for the title of 2014's most intoxicating debut.